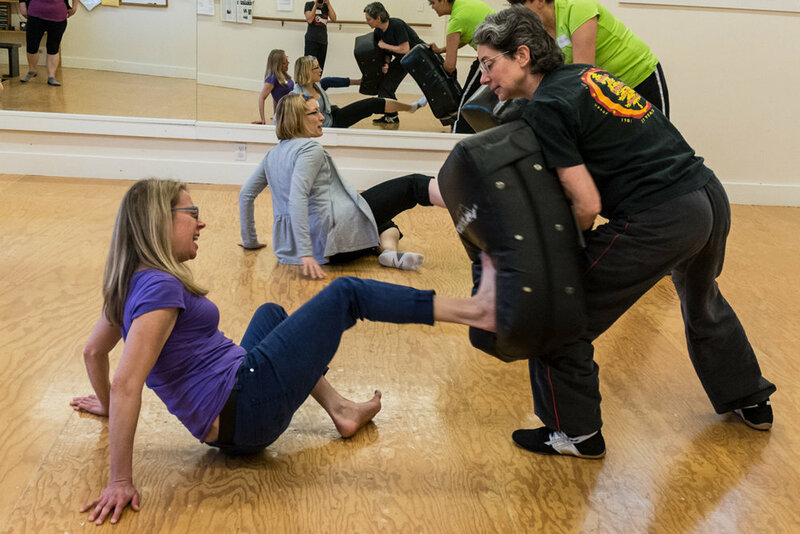 Seven Star Women’s Kung Fu provides martial arts training to individuals who identify as women (age 13+), and non-binary/genderfluid folks comfortable training in an all women environment. We provide self defense training to all populations. Founded in 1981 as a 501(c)(3) nonprofit Kajukenbo and self defense school, Seven Star has created a nurturing, non-threatening environment to learn practical self defense skills and build strength and confidence through the martial arts. We offer childcare, ASL interpreting, scholarship and work study. Interested in taking a class? Explore our website for upcoming training opportunities, or check out our class calendar. We look forward to training with you soon! Beginner’s Cycle: Our beginner’s cycle is our introductory martial arts series. Our next 6-week beginner’s cycle starts September 10th. Open enrollment through September 17th. Classes meet Tuesdays 6:00-7:30 pm and Thursdays 7:30-9:00 pm; optional Saturdays 11:00am -1 pm. Next Try a Class Night: Try a free class on Wednesday, September 4th from 6:30 to 8:00pm followed by an Open House with refreshments. We teach community self defense classes as well as private and corporate/nonprofit self defense workshops. Next Community Self-Defense Class: This Community Self Defense class is for all gender-identities, age 11 and older. LGBTQ folks are welcome and encouraged to attend. Sunday, June 9th, 1pm - 3pm. Interested in a private group or business environment workshop? Contact info@sevenstarwomenskungfu.com to schedule a self defense class or for more information about opportunities.